These side dishes were developed to be easy and portable for potlucks or family dinners. 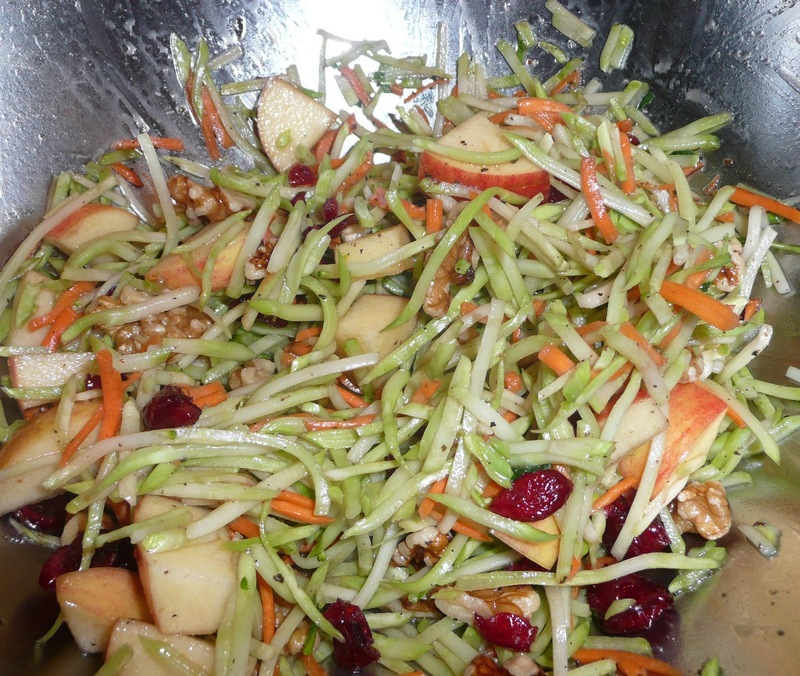 I got the idea for using prepackaged produce as a starting point for some colorful, flavorful and tasty recipes from my friend Yen, who served me a version of the Broccoli Slaw Salad below. Container sizes vary between brands and small variations won’t matter, but if there is a difference of more than a few ounces adjust the amount of the other ingredients. If you prefer, skip the prepackaged ingredients and cut and prep your own veggies for the recipes. The recipes all multiply well. Larger batches of the kale should be sautéed separately and then combined. These recipes can be made a day or two in advance and store well in the refrigerator. I think they taste best at room temperature, though. If you can make this a day in advance, the flavors have a real chance to meld. Cook squash according to package directions. Soak raisins in vinegar for 20 minutes. Heat oil in sauté pan and cook onions over medium low heat, stirring often until very soft, sweet and darkened to golden brown. Add cooked squash, raising heat to medium high and sautéing for a few minutes. Add raisins, vinegar, red pepper, salt, black pepper and mint. Sauté, stirring occasionally until flavors have melded and squash and raisins are heated through. Taste. Add sugar as needed and correct seasonings. Serve warm or at room temperature. I love this with cooked cranberry beans if you have the time to cook some up. 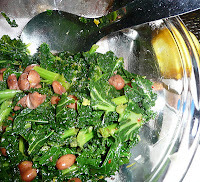 The beans have an almost chestnut-like earthy flavor to them that works well with the strong-tasting greens and garlic. Rinse kale and let drain. Heat oil in large fry or sauté pan over medium high heat. Sauté garlic until just golden. Add kale, stir well until coated. Add in 1/2 cup water, stir, cover and let kale steam until leaves are cooked through but not limp or soft and stems still have a bit of crunch, adding more water if needed. Remove lid, add salt, black pepper and red pepper and cook stirring occasionally until water has evaporated. Let kale cool. Rinse and drain beans. Mix drained beans, lemon zest and vinaigrette with kale and gently stir to combine. Serve at room temperature. When Yen served this salad, I just couldn’t stop eating it. She had adapted the recipe on a container of the shredded broccoli stem and carrot mix and I tweaked it a bit more. Pomegranate seeds are sometimes available packaged if you don’t want to tackle seeding a whole fruit. Dried cranberries make a quick and tasty substitute. I used a light, low-calorie salad dressing and the agave when I made this last. Combine salad dressing with honey and mix well. Cut unpeeled apple into 1/2” chunks (about 1 cup). Toss with dressing. 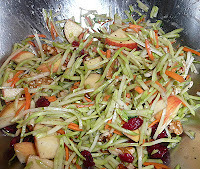 Add dressing and apples to slaw mix. Stir in walnuts and cranberries if using (if using pomegranate seeds instead, stir in just before serving). Serve cold or at room temperature. A version of this post appeared in j. weekly. 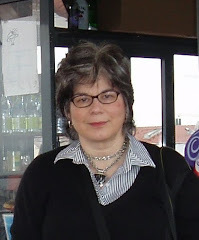 The recipes were created to for easy transportation and serving under the sukkah, part of the Sukkot celebration. Thanks so much. Hope you enjoy them. Thanks for the squash one, we loved it! Great taste and food texture! a belated thank you to Jack glad you liked the recipe!